Experience an exquisite Melbourne high tea in the very heart of the CBD at The Westin Melbourne. Settle in for the afternoon and indulge in a long-established tradition that has been redesigned with a contemporary twist. Take your seat amongst the elegant surrounds of The Westin Melbourne’s Lobby Lounge where you’ll be served a beautifully presented three-tiered stand featuring irresistible sweet and savoury delights. Enjoy classic favourites such as scones with jam and cream, delicate ribbon sandwiches and an assortment of seasonal, handcrafted treats. Perfectly complemented by an extensive menu of fine tea blends, champagne and refreshing beverages, delight in high tea by the cosy fireplace or shamelessly flaunted under the sophisticated deco inspired chandeliers with friends. 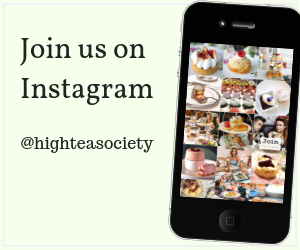 Learn about the High Tea at The Westin Melbourne. 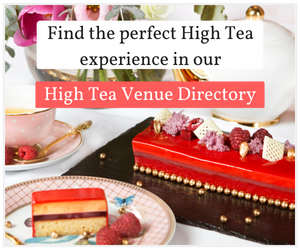 If you’re a Melburnian, you know that high tea venues are a competitive lot, striving to serve up unique menus to tickle the tastebuds. The Westin Melbourne has gone all cheesy with its latest high tea offering, High Cheese. The Westin Melbourne’s new winter offering has a wow factor, a beautifully presented menu that tastes just as fabulous as it looks. Move over macarons, step away from the cupcakes and say hasta la vista to churros! The city of Melbourne comes alive during winter and a fine way to enjoy this spectacle is by sipping tea, eating scones and people watching from the comfort and warmth of The Lobby Lounge at The Westin. So if you want something a little naughty as well as something nice, perhaps a pre-theatre treat? Then you’ll love the Westin Melbourne.